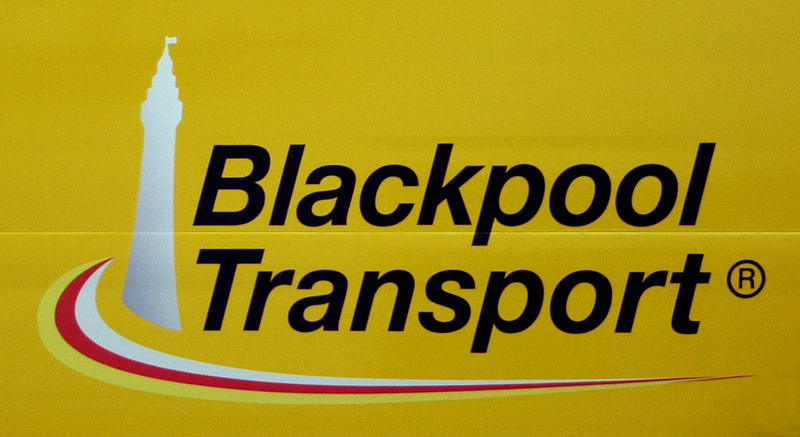 Blackpool Transport are beginning to outshop repainted buses with a new logo. 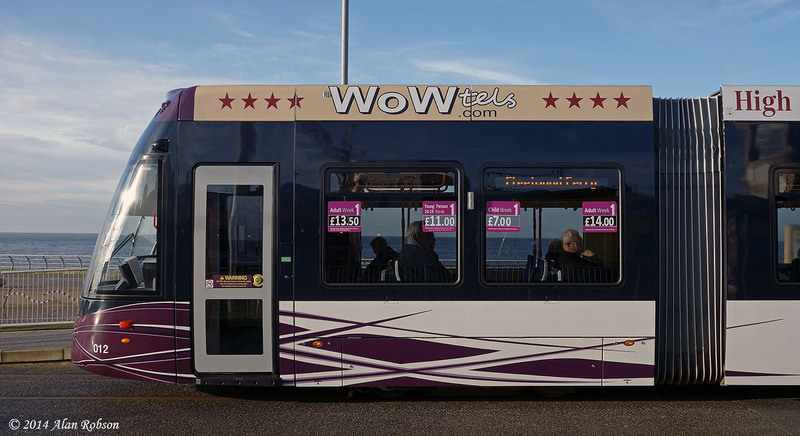 The long used tower and waves logo is being ditched for a new look, which replaces the waves of the old logo with a silver, red and yellow 'swoop', in a similar style to the silver and red flash on the side of the buses. 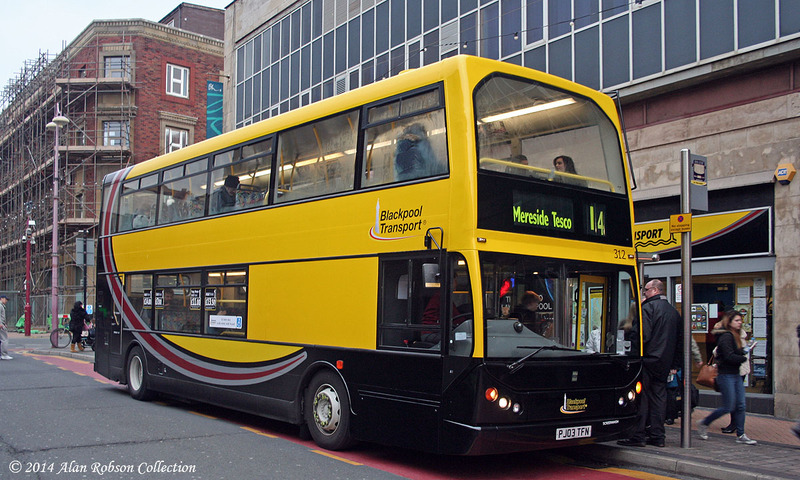 Newly repainted Dennis Trident 312 made its debut today on the 14 service displaying the new look. 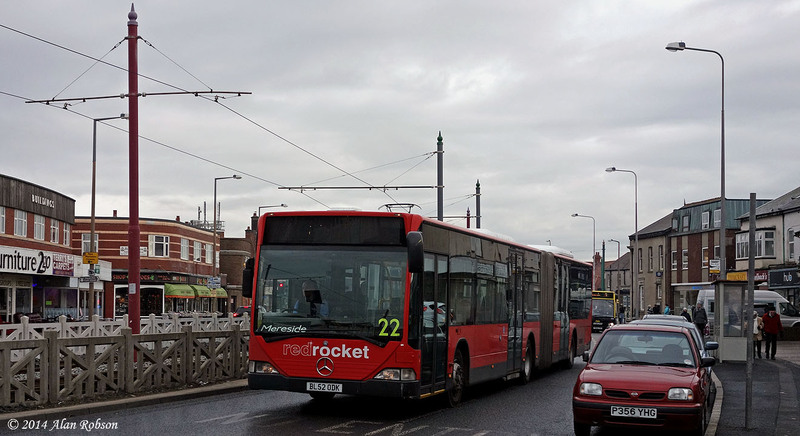 On Monday 20th January, one of the Red Rocket bendy buses was used as a trial on the Catch 22 service, to see if it is feasible to use these long buses on the urban route between Cleveleys and Mereside. 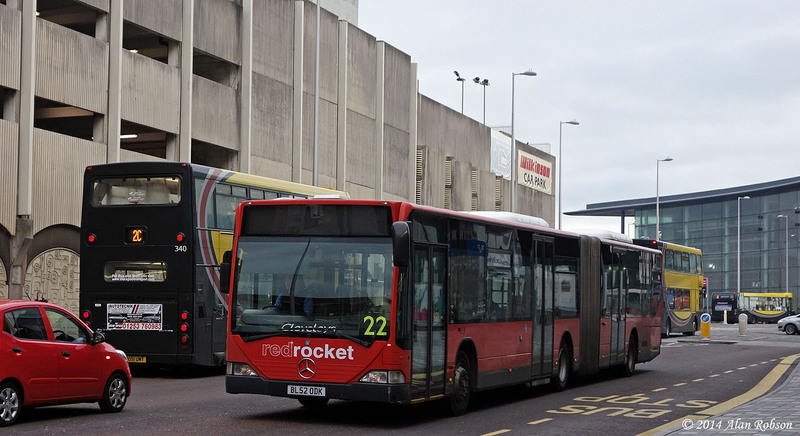 The vehicle chosen for the trial operation was Mercedes-Benz Citaro MAL53 (BL52ODK), which is the only one of the three bendy buses to carry the Red Rocket branding on the front panel. 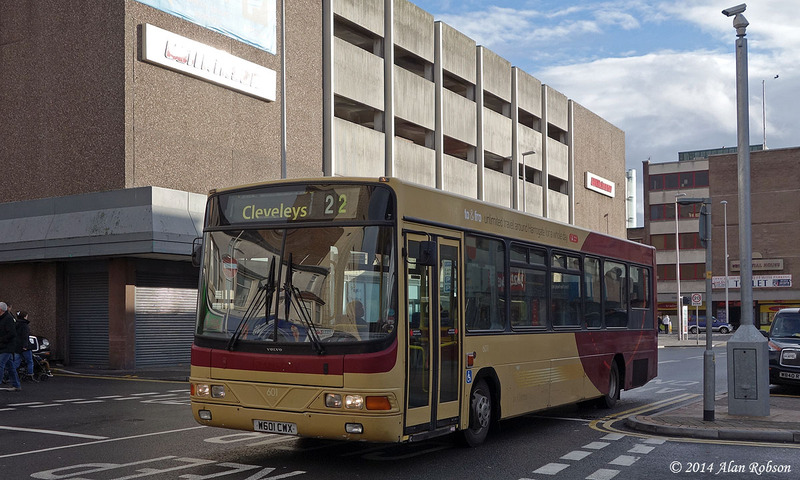 Route number 22 was displayed on the lower left hand side of the windscreen, and a board with Cleveleys on one side and Mereside on the reverse was displayed on the dash panel. 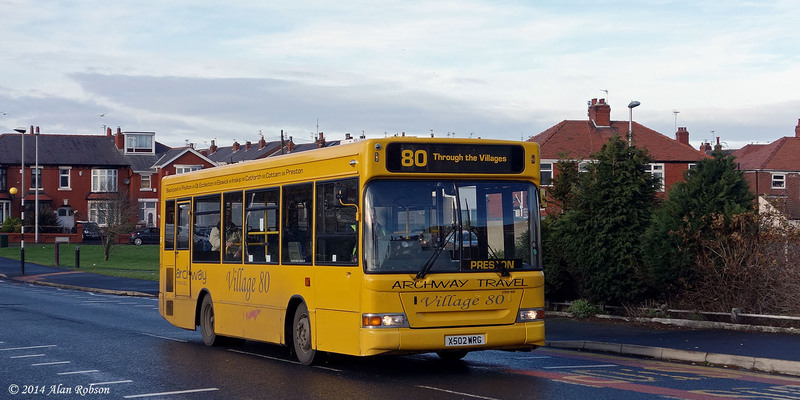 Former Transdev Harrogate and District Volvo B6BLE W601CWX has finally entered service on the Fylde. 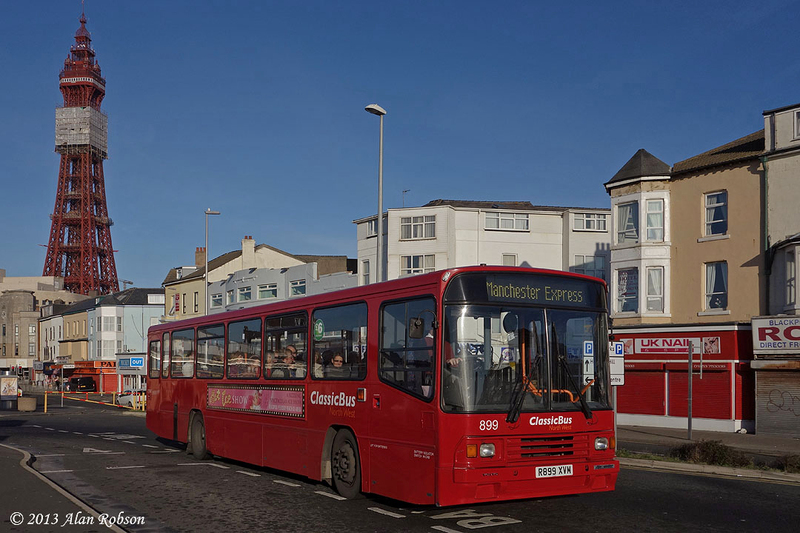 This bus is the sister vehicle to W611CWX, both of which were purchased by Classic Bus North West last October. 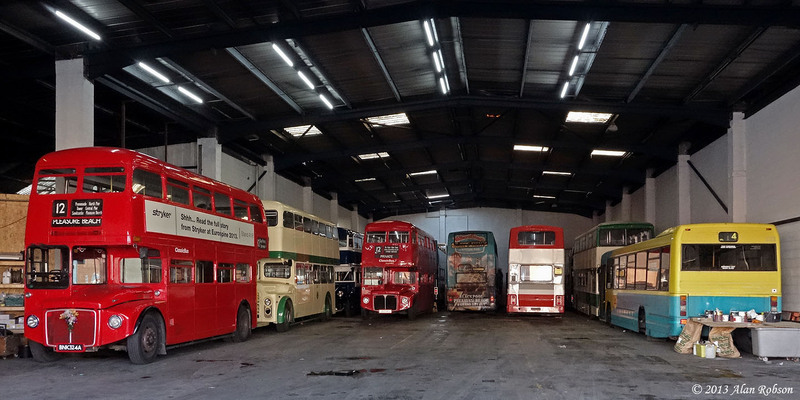 611 was put into service almost immediately, but 601 has languished for several months waiting to be submitted for an MOT. 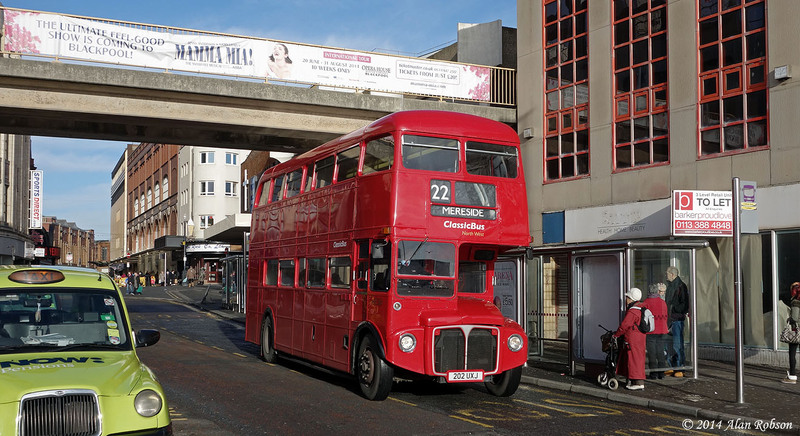 The vehicle has now successfully passed its MOT and made its debut into passenger service on the Catch 22 route today. 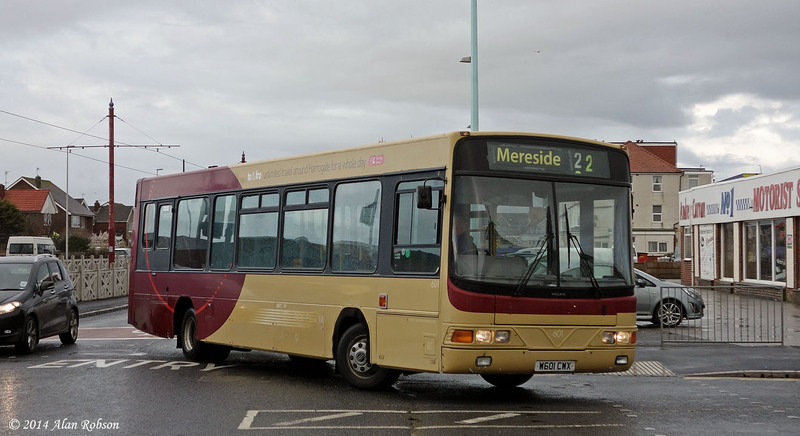 Sister vehicle 611 is scheduled to become the first bus to receive a new paint scheme for vehicles allocated to the Catch 22 service. 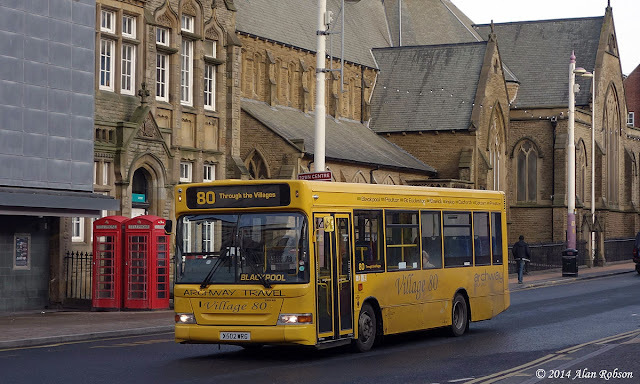 Some photos of the pair of ex Go North East Plaxton bodied Dennis Dart MPDs that Archway Travel have acquired to run on their new service 80 which operates between Blackpool and Preston via Poulton, Great Eccleston, Elswick, Inskip, Catforth and Cottam. 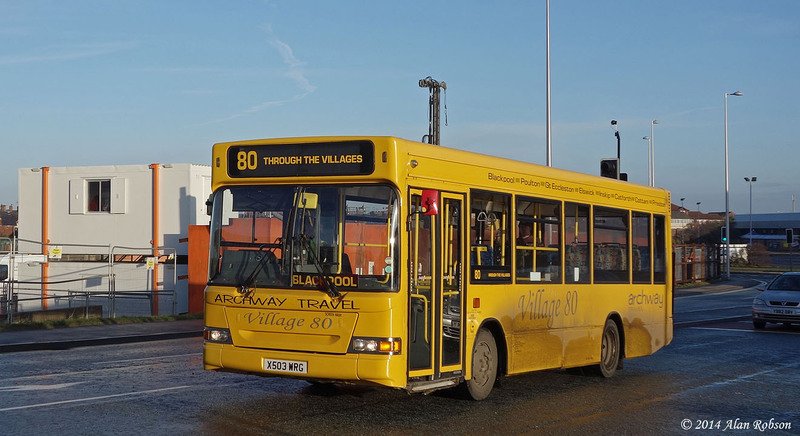 The two Darts have vinyls over the front and side destination boxes that read "80 Through the Villages", and carry a destination board displayed on top of the dash panel that reads "Blackpool" on one side and "Preston" on the reverse. 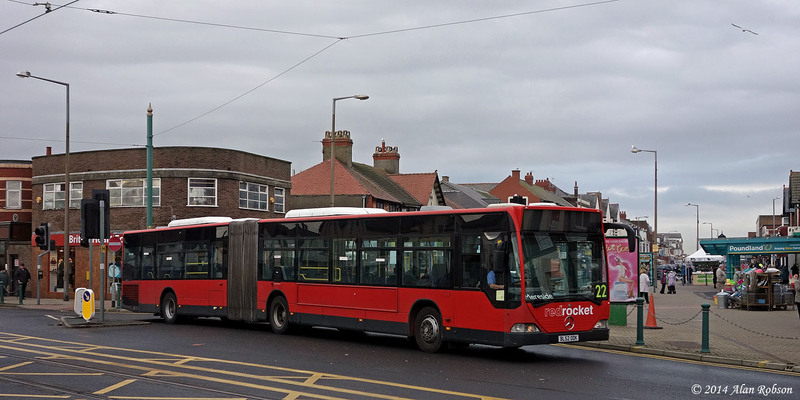 Blackpool Transport are currently running a promotion for their weekly Saver tickets. 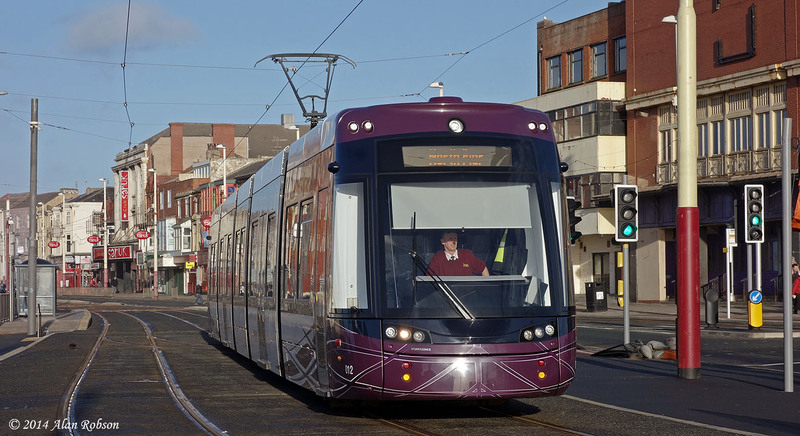 The trams and buses are carrying small window stickers promoting Adult, Young Person and Child weekly Saver tickets, the prices being £14, £11 and £7 respectively when bought onboard a tram or bus. There is a discount of fifty pence for the 7 day adult Saver ticket if purchased in advance, either online or at one of the Travel Centres. 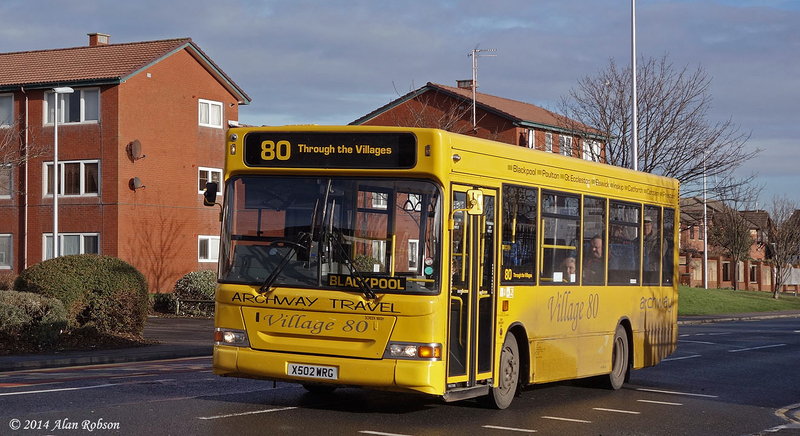 On Monday 13th January Archway Travel took over the short lived Service 80 between Blackpool and Preston after Classic Bus North West suddenly terminated operation of the route on 20th December last year, after less than two weeks of running it. 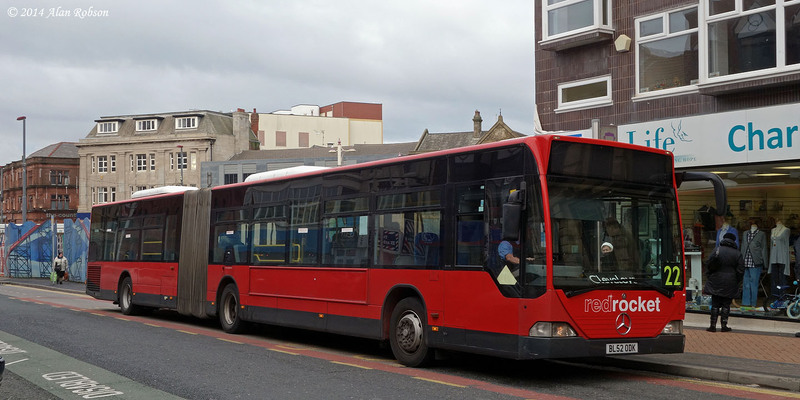 Archway have purchased Dennis Darts X502WRG and X503WRG from Go North East in order to operate the service commercially for an initial three month trial basis. 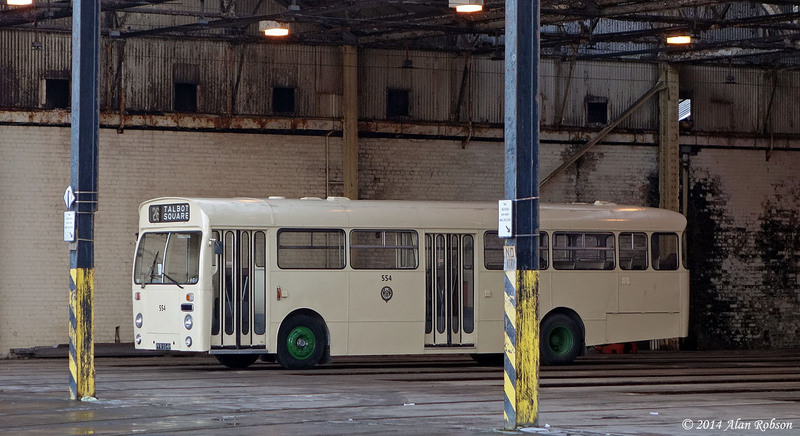 A bus which formed part of the Lancastrian Transport Trust collection was spotted in Rigby Road depot on Monday 13th January. Former Blackpool Corporation 1970 AEC Swift No 554 with Marshall bodywork was noted parked at the far side of the tram depot, the reason for it being on BTS premises is not known. 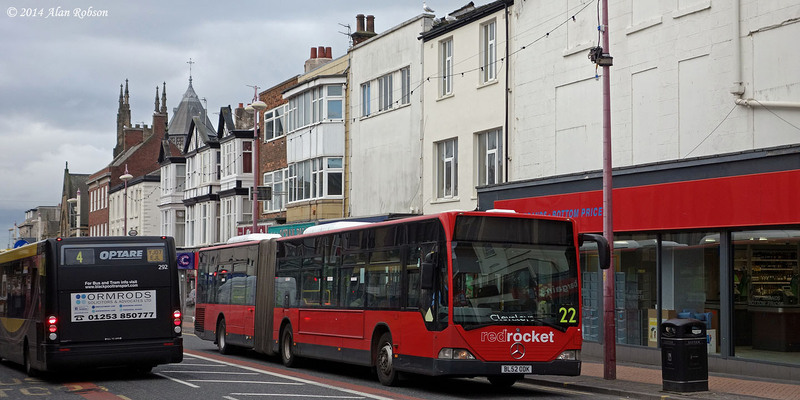 Monday 13th January saw an unseasonal vehicle in use on the Oakwood Travel operated Catch 22 route in Blackpool, when Routemaster RML887 was noted operating a service to Mereside at Bank Hey Street in Blackpool town centre at lunchtime. 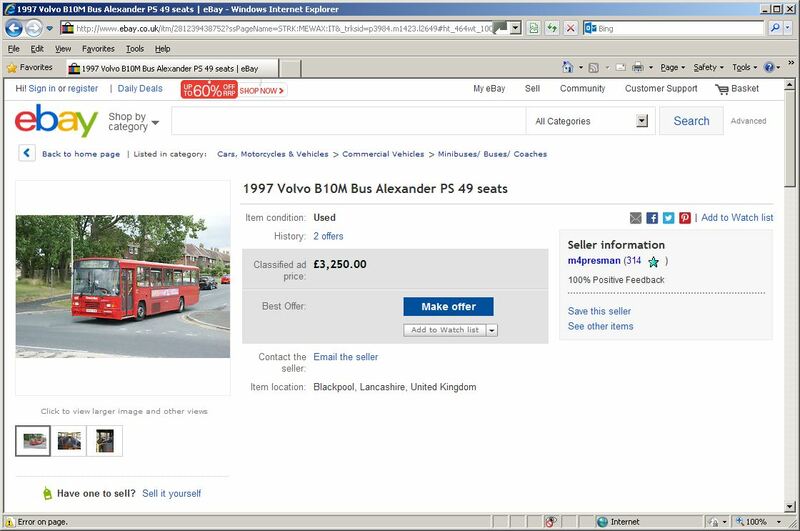 Another vehicle from the Classic Bus North West stable has appeared for sale on eBay. 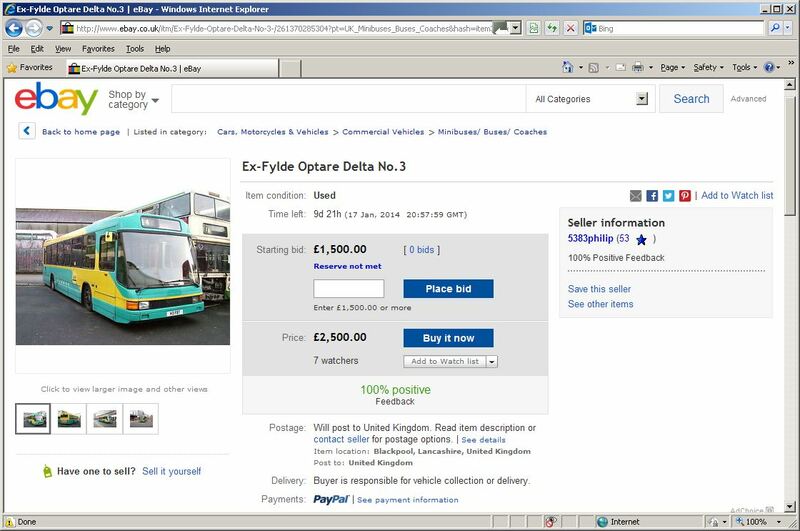 Former Fylde Transport Optare Delta H3 FBT was purchased for preservation after being withdrawn by Blackpool Transport in 2011, and is being sold off due to the current owner thinning out his collection of preserved buses. 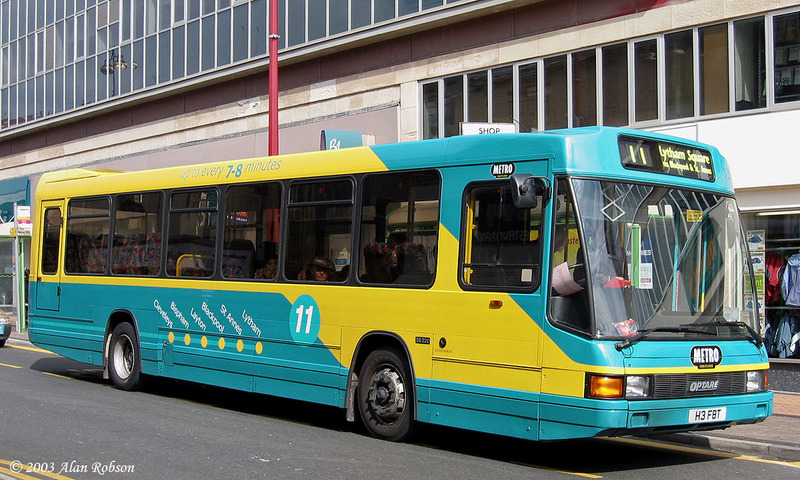 F3 FBT was new in 1991, and latterly became No.133 in the fleet of Blackpool Transport after Fylde were absorbed by BTS. 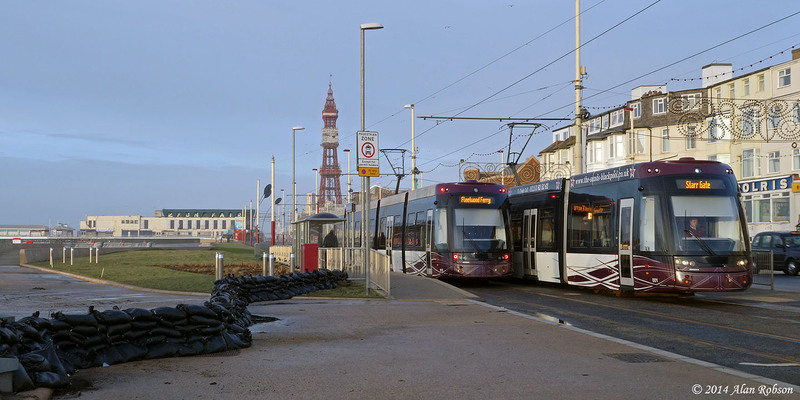 Some views of the temporary sandbag wall that has been constructed at Manchester Square, at the point where Blackpool's expensive new coastal defences failed to stop the sea encroaching onto the tram tracks and Promenade during the very high tide on 3rd January. 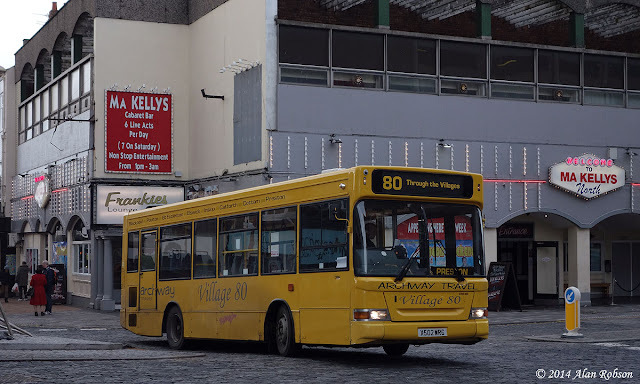 As a result of the demise of Classic Bus North West in December and the withdrawal of two of their routes, the 80 to Preston and the X70 to Manchester, a number of vehicles are now surplus to requirements. 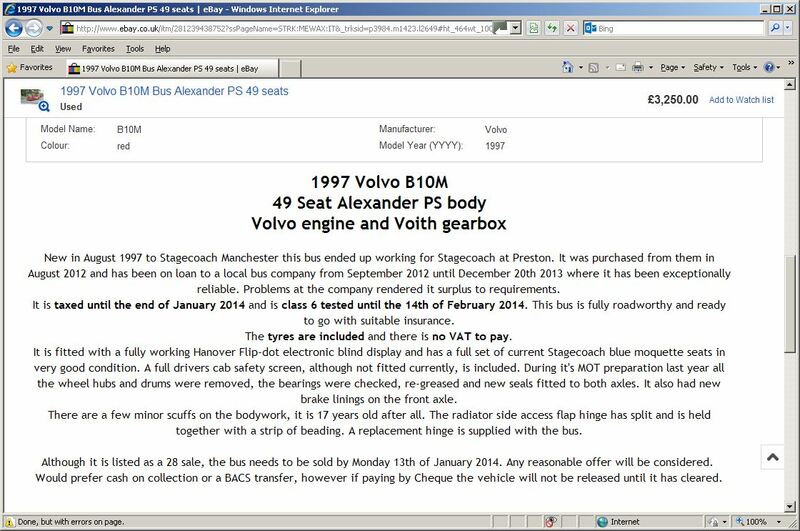 1997 Volvo B10M R899 XVM with Alexander 49 seat bodywork has appeared for sale on the auction website eBay. 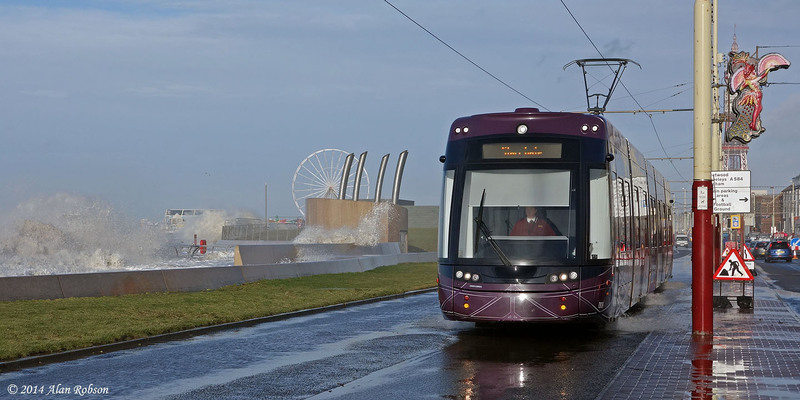 For the second time in a month the tram service in Blackpool has had to be curtailed due to the tramway being flooded by a tidal surge. 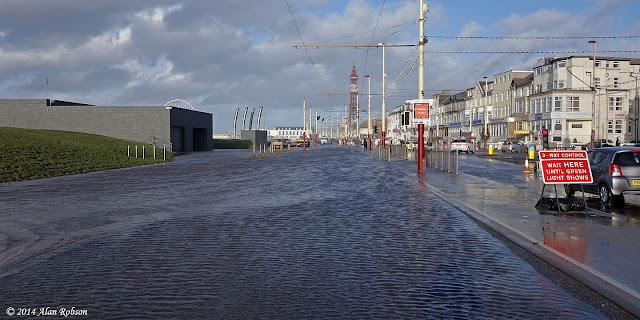 The whole West Coast of England was predicted to be at risk from flooding on 3rd January, due to a combination of high tides combined with low pressure and strong winds. 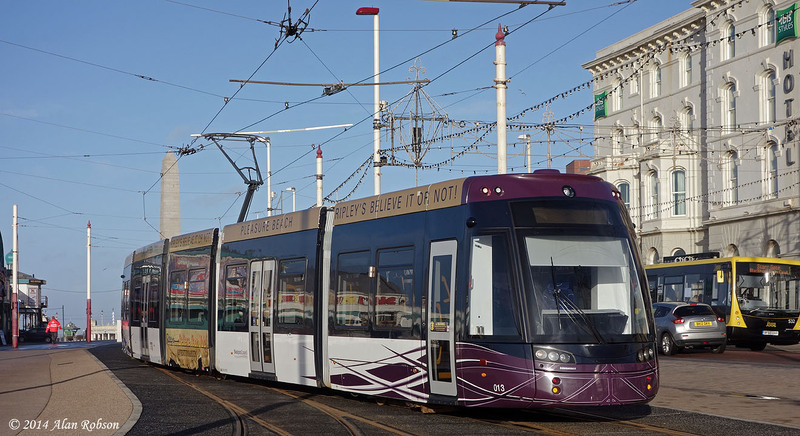 The Flexity tram service operated normally throughout the morning, but at midday Flexity 008 was the last tram to run through the Central Promenade area, continuing on south to Starr Gate depot. 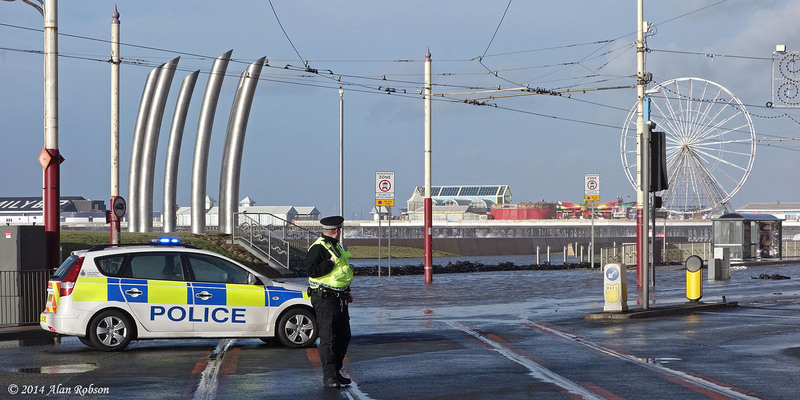 The tramway was flooded by the noon high tide from Manchester Square to St Chad's Road tram stop, there was also flooding right across the tram tracks at New Bonny Street, just south of the Tower. 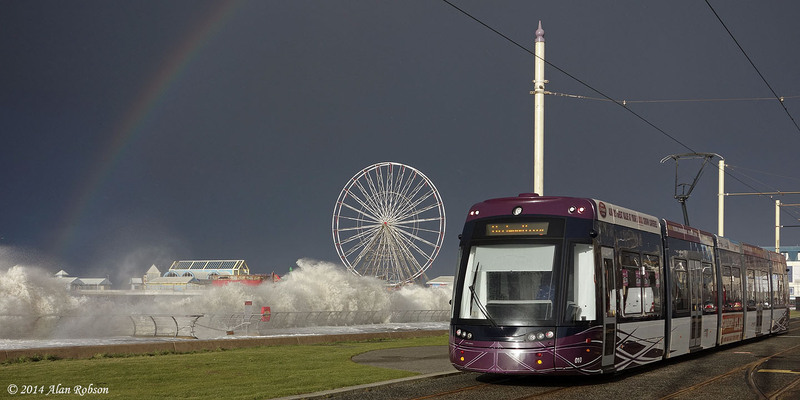 The Flexity trams operated a reduced service from North Pier to Fleetwood Ferry during the afternoon. 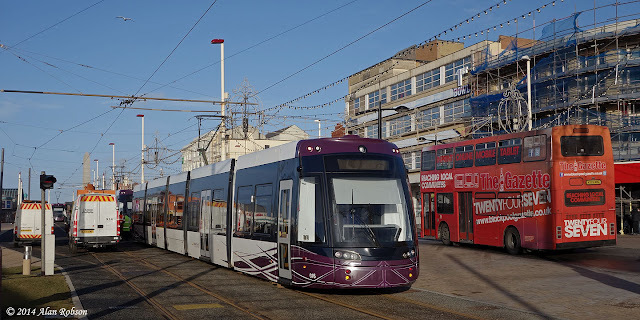 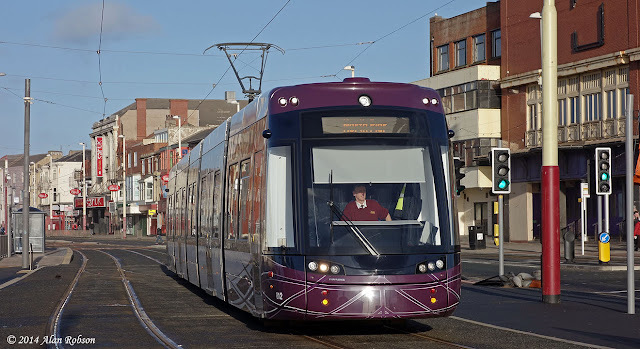 See Blackpool Trams on Flickr for more photos taken during the day.